Take Advantage of the New Limit on the IRS Section 179! The year is winding down, and the IRS has given a gift to business owners to wrap up the year. Rather than decrease the Section 179 deduction, qualifying businesses can take the same $500,000 as 2014. For businesses that have seen an increase in sales and have been waiting to make an investment in growth or expansion, this can be great news. The IRS outlines the rules regarding Section 179 deductions here. Consulting your tax adviser can be helpful in planning. There also is an organization that provides a helpful tax calculators and information that explains the Section 179 deduction here. 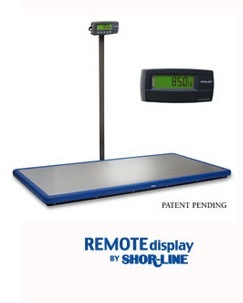 The Shor-Line Year End Sale can help you stretch your investment further. Shop the sale by December 31, 2015 for potential tax savings. The sale goes on until January 5, 2016. This year's Year End Sale theme is Facility. Whether you are updating o ne room or adding an entire new addition or practice, you will find our best prices of the year. We also have added special gifts for some purchases. 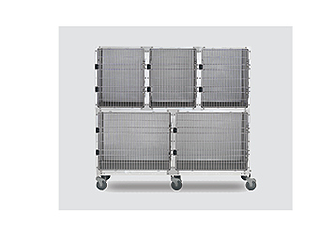 Cages are one of our most popular products, and ALL cages and cage accessories are on sale. This includes cage banks, floors, cage valets as well as specialty cages. Enjoy the Holidays but Don't Forget the YES! Our staff will be off December 24 until December 28 to spend time with their families but back at it the last week in December to help you make your end of the year plans. Call 800-444-1579 for immediate assistance! Year End Sale Time is Here at Shor-Line! Every year with the coming of cooler Midwest evenings, we look forward to sharing our Year End Sale with our loyal customers and (hopefully) some new friends. This sale includes some great buys on some of your favorites as well as some good pricing on products that fill special needs. 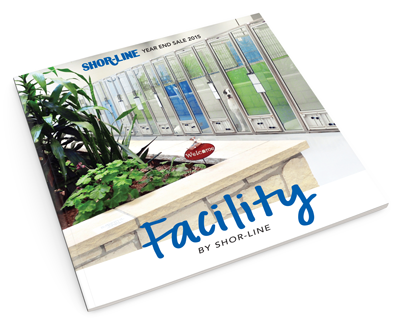 Facility by Shor-Line is our theme this year because we will show you room by room how we can help. The sale is on now and will continue until Jan. 5, 2016, and it is open to U.S. residents only. Get your digital copy here. 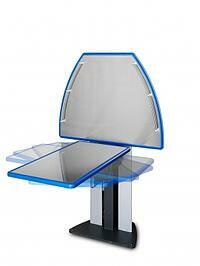 Big Top Grooming Table. We've given you eight more inches of space on the Big Top version of our popular Elite Grooming Table. 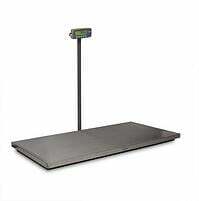 The electric base has the same great features. Classic Surgery Tables. 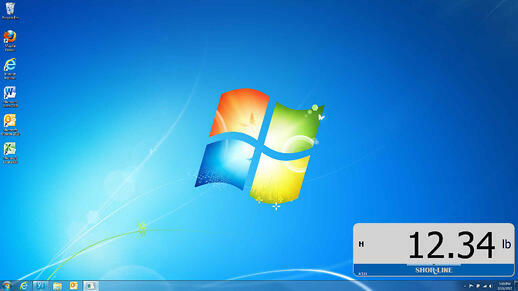 We continuously improve our Classic based on customer feedback! Stationary Animal Lift Table (SALT). For customers wanting a durable lift table with a reasonable price point, the SALT is it! Standard Mobile Anesthesia machines are priced to give you a durable, dependable mobile unit right around the $2,000 price point. Combination Grooming Packages give you an Elite Grooming Table and an Elite Grooming Shower or Tub with a selection of free tools, a caddy and a faucet. The Blue-Line Mat is specially priced during this sale at $24. It is designed for our Blue-Line table line, but we've been told it works well to place on the floor when you examine a pet on its level. This sale is so popular that we want to encourage you to order early. So, we are offering an additional $50 off of orders of $1,000 (excluding shipping, handling and taxes) or more if you place your order with a sales representative by Oct. 31, 2015. 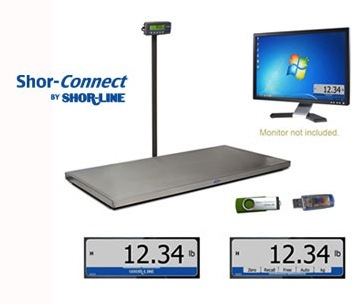 As a Treat for you, we are introducing the new Shor-Line Outlet website. We've finally cleared out our warehouse and are making overstock, discontinued and slightly damaged products available for great prices. Learn more here. Our plan is to continuously add to the Outlet, so sign up for the monthly email alert and return frequently! The Year End Sale fades away with the turn of the new year, so order NOW for best selection and remember to visit shor-line.com/yearendsale or call 888-551-4062 to place an order! Choosing a Kennel Run System? Our guide can help! 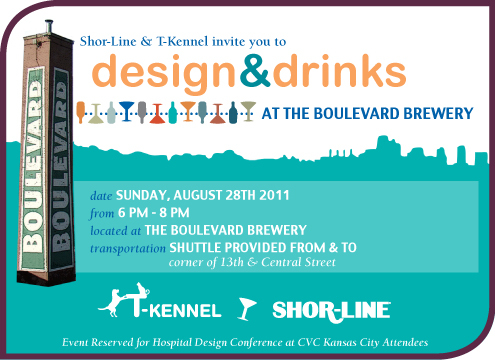 At Shor-Line we have decades of Kennel Run design experience. This experience allows us to work closely with our customers to help design the best Kennel Run System for their particular facility. Choosing a Kennel Run System can seem confusing at first glance, but with the right information this process can become less complicated. 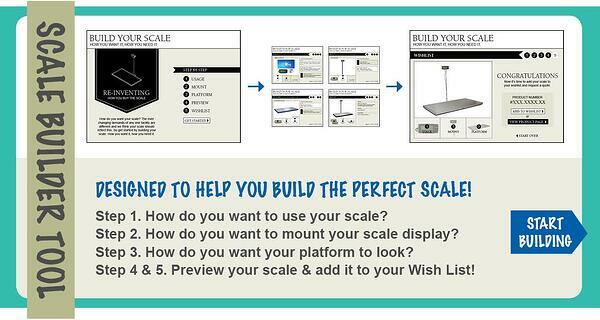 To help, we have developed a guide for the beginning stages of the process. 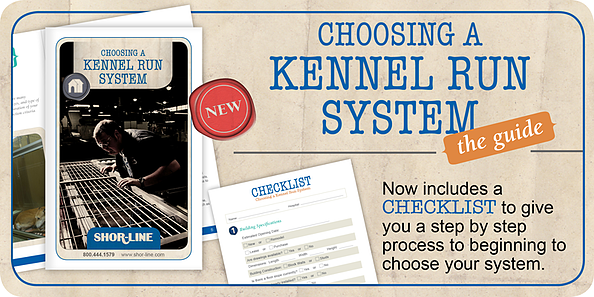 Designed to give you the information you need to choose the specifics of your new Kennel Run System, this guide offers helpful tips, specifications and inspiration. 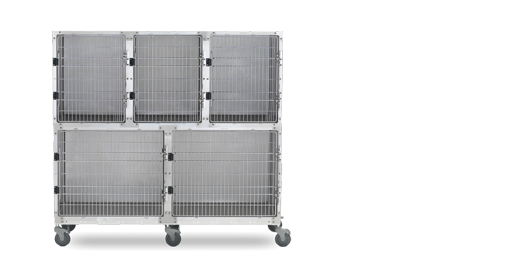 Have a question regarding our Kennel Run Systems? Feel free to contact us! Our knowledgeable sales and engineering staff have the answers you need. Get a Copy of the Guide Today! Download a PDF or View it Online. With 2012 upon us and all those new resolutions in full force; we want to reflect on our own resolutions as a leading animal care equipment manufacturer and invite you to share in our journey. 2012 promises to be an eventful year. Our industry is experiencing a gender shift, there are more veterinarians graduating each year and more guidelines have been structured for animal health. We see these as more than just trends, they are what is expected and what will be. It is Shor-Line's responsibility to participate in continuing education and field-testing throughout the industry to ensure the best quality products are available to animal care professionals at affordable prices. This year Shor-Line celebrates 85 years. Without the support from our loyal customers and dedication of our valued employees, we wouldn’t be who we are today. Since 1927, we’ve had the same goal — provide quality products that support the customers who buy them. It’s that simple. If you were to take a tour of Shor-Line's manufacturing plant you would find very humble, genuine and passionate craftsmen. Take Robert Williams for example. He has been with Shor-Line for over 40 years and worked in many areas of the plant. He is considered a master of the Shor-Line product line. There is only a handful of craftsmen that have been with Shor-Line for less than 5 years. Most have been here for decades. This tells the story of quality and dedication better than any marketing or sales pitch. Our craftsmen are what make our products rate with superior quality, functionality and innovation among our industry. 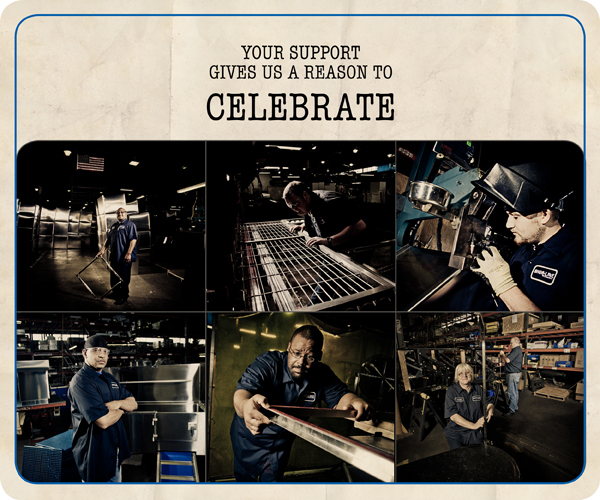 In appreciation of our dedicated craftsmen and loyal customers we are launching the Celebration Event Promotion. We are giving away an Exam Room Makeover and have designed 10 Product Packages that are sure to enrich animal care. So throw up the streamers! This year we're celebrating!